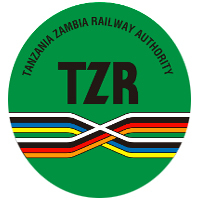 The Tanzania-Zambia Railway Authority ( TAZARA) is a statutory Institution owned by the two Governments of the United Republic of Tanzania and the Republic of Zambia on a 50/50 shareholding basis. Incorporated by the Acts of Parliament of the two contracting states, the Authority's registered office is in Dar es Salaam, Tanzania, with two regional administrative centres in Mpika, Zambia and Dar es Salaam. Some positions have fallen vacant and, in this regard, applications are Invited from suitably qualified Tanzanians, as follows. The Senior Planning Officer (Technical) provides technical guidance and Services In areas of Civil. Mechanical and Signalling end Telecommunications project Management and research In order to facilitate administration of short. medium and long term corporate plans to achieve the Authority's goals and objectives. d) Prepares detailed project plans and activity schedules on engineering projects. g) Research into areas of product and equipment improvement together with improvements in methods of maintenance, operations and organization. Reporting to the Regional General Manager, the jobholder is responsible for interpreting and implementing HR Polices and Labour Laws In order to maintain a harmonious working environment. b) Advises and guides Management on disciplinary and grievance handling. in line with the TAZARA disciplinary code and grievance procedures and local labour legislations. Interested candidates should write to the address below justifying how they qualify and enclosing updated curriculum vitae, copies of the relevant certificates, three references and daytime contact details, by 17th August 2018 TAZARA is an equal opportunity employer. Female candidates are encouraged to apply. We regret to advise that only short-listed candidates will be contacted. The position of Deputy Managing Director has fallen vacant and, in this regard, applications are invited from suitably qualified Tanzanians, as follows. f) A post graduate degree and experience in railway transportation or related industries will be an added advantage. Interested candidates should write to the address below justifying how they qualify and enclosing updated curriculum vitae, copies of the relevant certificates, three references and daytime contact details, by 17th August 2018. TAZARA is an equal opportunity employer. Female candidates are encouraged to apply. We regret to advise that only short-listed candidates will be contacted.